There’s nothing quite as annoying as a bumpy lawn or garden. And it’s not just a question of looks either, it’s about practicality, which is why you need to learn how to level yours. Otherwise, you might experience waterlogging or even drainage, and your vegetables or flowers might not grow at all. Basically, levelling your garden can actually save its life. Children who play on a soft garden soil. 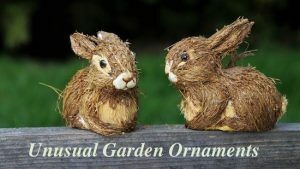 Critters that roam or dig in your garden. Nightcrawlers that shift the soil in order to find food. Soil settlement, like pipes and rubble under your garden, which need to be excavated. Waterlogging during the winter months. 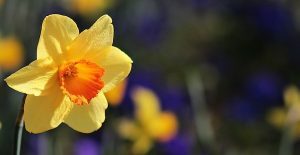 Levelling your garden is easiest in springtime because the soil is moist enough, and the grass has plenty of time to grow. You can, however, get away with a decent levelling in autumn if the weather is on your side. This stage is very important to make sure you eliminate all the bumps and dips. 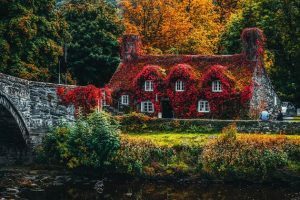 As such, you should rigorously check your garden to figure out the expanse of levelling required, as well as any underlying issues, like drainage. Some of these issues are really serious, so you may need professional help to deal with them. For instance, drainage can be solved either with re-grading or installing flexible drainpipes. If you want the easiest way to level a garden, you need to work on a soft enough soil, that’s not friable. As such, you have to water it a few days before you begin, making sure it’s not soaking wet, though. Sand aids with drainage, while topsoil and compost ensure a base for more nutrients in your soil. Evaluating how much damage you have is important in order to choose the right method of levelling the garden. That’s why you should also check how deep the holes in your garden are. Apply the mixture directly, in a thin, evenly spread layer, using a rake. Pound the soil with your feet or with the rake. Water it down to make sure it becomes even more compact. Leave your garden to settle for several days. Put grass seeds in, as well as a layer of topsoil. Spray the soil with water about four times each day in the next two days. Water the soil regularly afterwards. If you have spots deeper than 2 cm, get a squared-off shovel. Make an X-shape about 5 cm deep, with its centre in the middle of the hole. Make sure the edges of your X gets across its edges. Slide the shovel underneath each and turn the soil over to flatten it out. Get rid of any big stones or debris. If you find big clumps of soil, break them down. Make the soil compact by stepping on it. Add your mixture into the hollow until it’s filled up. Use a rake to break the soil down. Put the flaps of turf you originally removed over the mixture. Begin at the edges to compact the turf. If there are any gaps, fill them with the mixture above or add grass seeds. What about a Sloping Garden? Many people want to find out how to level a sloping garden. While this isn’t the easiest thing to do, it’s not that hard either if you know the right methods. There is no such thing as a perfectly flat garden. 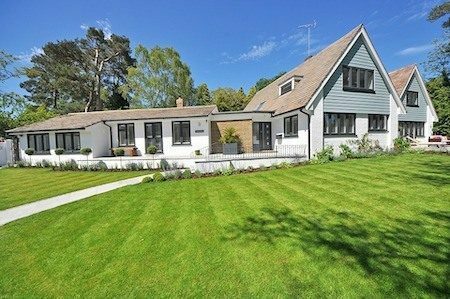 In fact, a gentle slope every couple of meters facing away from your house can even aid with drainage. However, if the slope is facing the other way around, you need to install drainage. A moderate slope might not need to be levelled at all, just planted in an easy on the eyes way, that’s also functional. Of course, you should make sure there isn’t any exposed soil that leads to erosion or drainage. That’s why planting a natural lawn on this exposed soil is the best way to go. If your garden is sloping, you can add terraces that create a stair-look as well as various levels for different activities or plants. That can be done by moving the soil and adding braces to create the steps of the stair. Rearranging the turf may require to fill dirt too, in order to make the steps more prominent. The next step is to place bricks, wood or stones around these steps. To ensure your soil doesn’t get eroded, you need to plant it fast. But not all plants are good for this; only those with deep roots or rhizomes like irises can keep the terraces in place because their root systems interlock. The margins of your terraces require cascading plants like catmint or garden phlox which give your garden a more interesting look, covering the edges. One of these terraces can be planted with native trees or shrubs that have deep roots. Their roots are deeper and bigger than those of wildflowers, so they have more success in fighting erosion. Another great way to fight erosion is by planting veggies on one of the terraces. 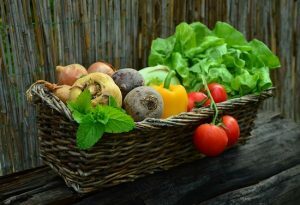 Vegetables are also great for improving drainage. 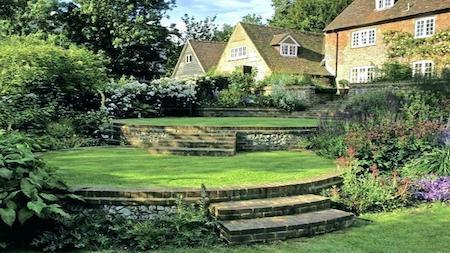 What about a REALLY Steep Sloping Garden? There are plenty of lawns and gardens with really steep slopes, that can’t simply be terraced by moving the soil around a little bit. Besides, these really steep gardens should be levelled fast because they can affect the foundation of your house. 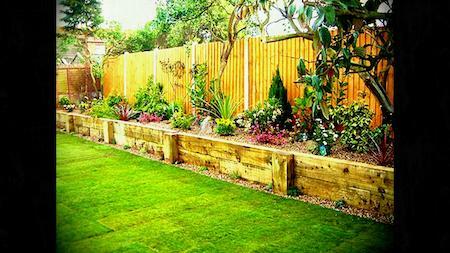 If you want an inexpensive choice for the terrace walls, you can choose reclaimed railway sleepers. These are durable but a bit sticky. As such, if you want to actually sit on your terrace walls, using reclaimed railway sleepers just for the base might be a good idea. Another affordable option is gabion cages, which looks good and are quite sturdy since they’re made from wire mesh that’s filled with stone or rubble. The store-bought ones have an easy setup, but you can manufacture these yourself if you’re an enthusiast DIY-er. The optimal maximum height of the wall you build should only be 70 cm. A higher wall takes up too much pressure from the surrounding turf and all the rainwater that accumulates around it. Basically, a wall that’s too tall can easily fall down because of all the pressure it’s exposed to. But if you still want to build a taller wall, make sure you lean it a bit into the ground, so that it’s supported. How much does it cost to level a garden? 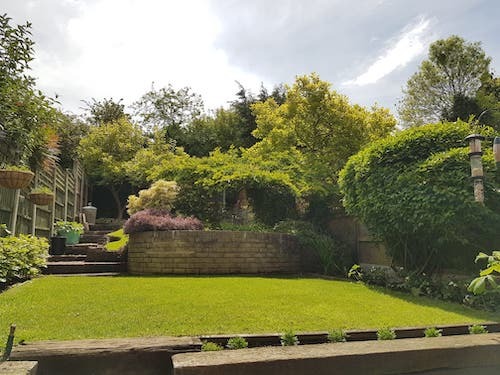 Of course, levelling your garden and dealing with all the slopes doesn’t come with a fixed price, but rather depend on how much work your garden needs. As such, you can expect a price increase if you need to add terraces and cambers. Larger gardens also involve more work and a bigger budget, especially if they require sloping beds. Other factors that increase the cost of levelling your garden are changing the drainage and the run-off. 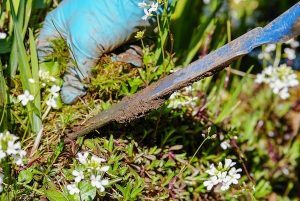 You might want to consider hiring a landscaper with enough experience to evaluate the state of your garden and give you the right recommendations. This is just an approximate cost so you can have a brief idea of how much you should be looking at. It all comes down to each individual requirement, therefore the cost is highly flexible. Plus, for doing it yourself, take into account the time spent doing the work. If your garden has a mild to moderate slope, put aside about 4-5 days, just to be on the safe side. So the final decision depends on how skilful you are and how much time you have on your hands. If you’re not familiar with using this garden equipment, you can ruin your garden or even hurt yourself. We all know that the costs associated with such remodelling work are an important factor in how you choose to level your garden. But remember that investing a bit more now to reach your objectives will save you a lot of hassle in the future.